Regis McKenna was the marketing guru of Silicon Valley in the 1970s and 1980s. 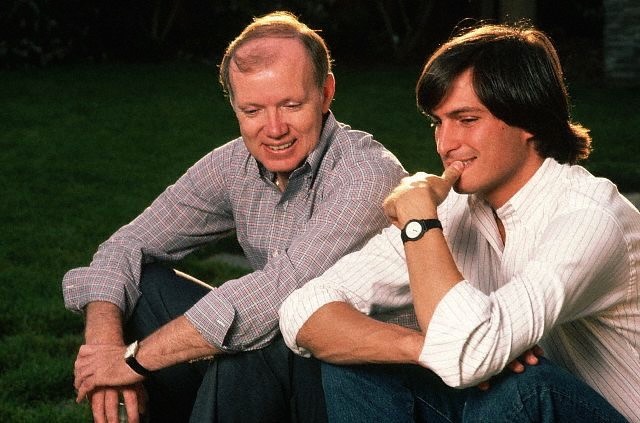 Steve heard he managed the Intel account, and tried desperately to have him 'manage' the two-people operation that was Apple back in 1977. McKenna eventually accepted and was even instrumental in bringing investor Mike Markkula in. Steve was always nice to McKenna, from whom he often sought advice. One if his favorite quotes was ""the best kind of marketing is education."" Rumor has it that the jobs title on McKenna's business card was ""himself"".